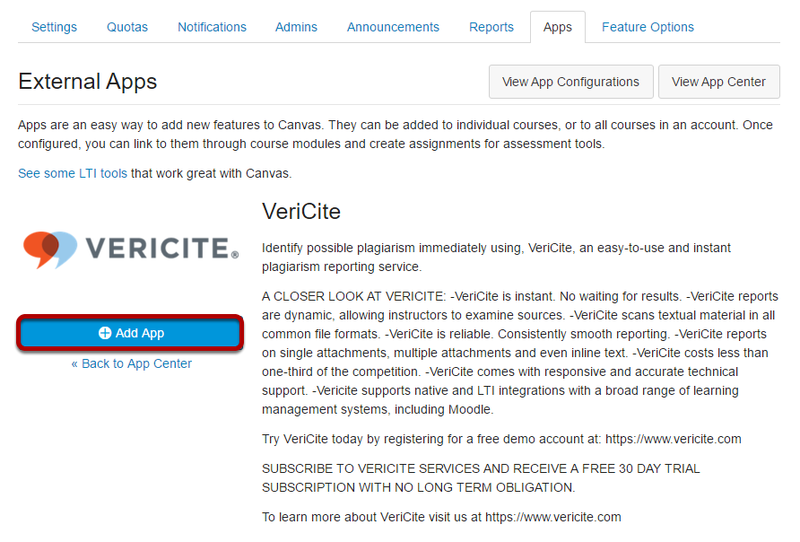 VeriCite offers both a native integration and an LTI integration for Canvas. 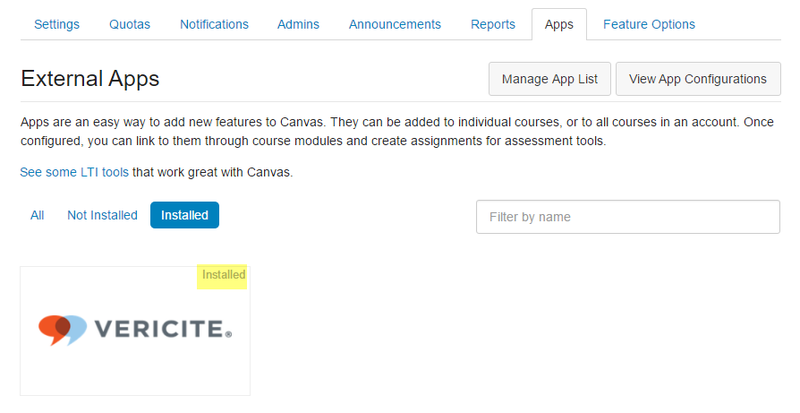 The native integration works within the LMS's Assignments tool and is enabled as part of your Canvas installation. The LTI integration may be configured separately without modifying the Canvas plugins or properties. You may install either or both integrations in a single instance of your LMS. Most institutions make the LTI tool available to system administrators so that they can access the admin features and reports via the LTI interface. Admin users may add the VeriCite LTI tool to their Canvas instance, so that it is pre-configured for instructors to add to their courses. In the Admin panel, go to Settings. Zoom: Select VeriCite and click Add App. 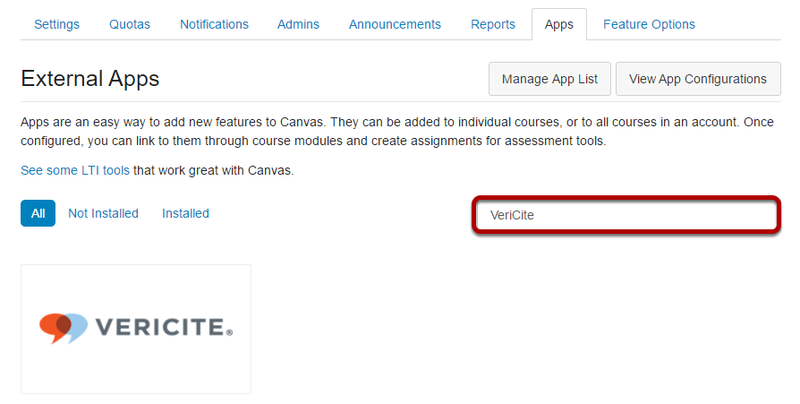 VeriCite has now been added to your Canvas instance and will appear in the list of Installed External Apps. 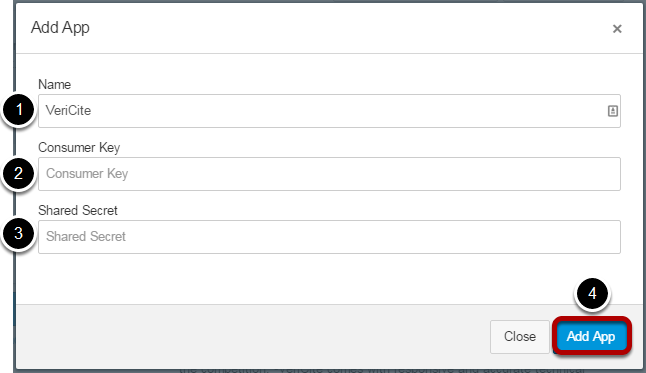 Zoom: VeriCite has now been added to your Canvas instance and will appear in the list of Installed External Apps. Prev: How do I view instructor comments in a VeriCite report? Next: How do I migrate Canvas VeriCite LTI assignments to the new LTI URL?